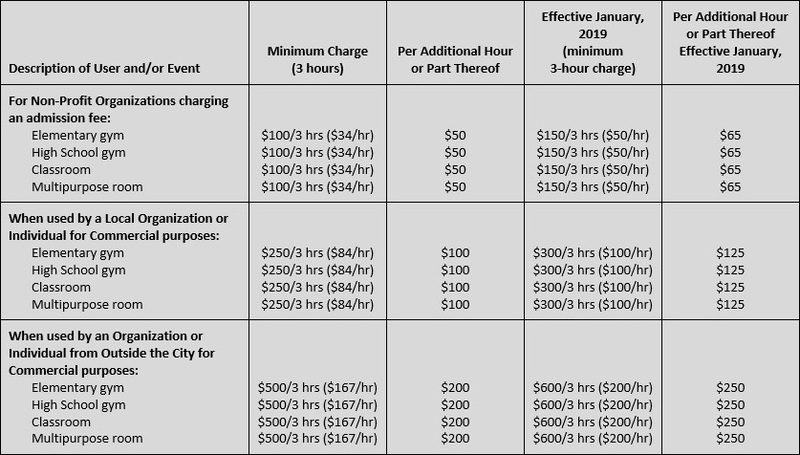 Rental Fees will be increasing effective January 2019. Please see the tables below for more information. The Board's Administrative Procedures have also been revised and can be located at AP 521 and AP 620. Please read through these procedures to familiarize yourself with the revisions in fees, usage season and conditions of use. All activities that are not school board functions or programs require a permit. To obtain a permit, an Application for Use of Regina Public School Facilities, available from all school offices, must be completed and forwarded to the City of Regina Central Scheduling Office. Forwarding information is on the application. The application is processed and a permit will be issued by City of Regina Central Scheduling. Copies of the permit are forwarded to the RPS Facilities Department for final approval and distribution to the applicant, the school and the Accounting Department for rental charges to be invoiced. When schools are used on dates or times outside of the operations staff regular hours of work, a caretaking charge may be assigned, in addition to any rental fees. 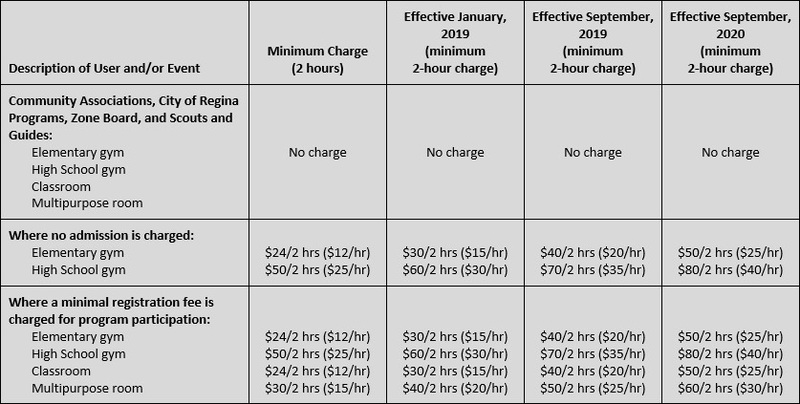 Effective September 1, 2018, the rate will be $55.00/hr (with a three-hour minimum).